Welcome back to the last quarter of the year. Like the end of any year we will have the culminating events of the year with D2 and M5 students having their Exams in May followed by Graduation and the M5 Ceremony. 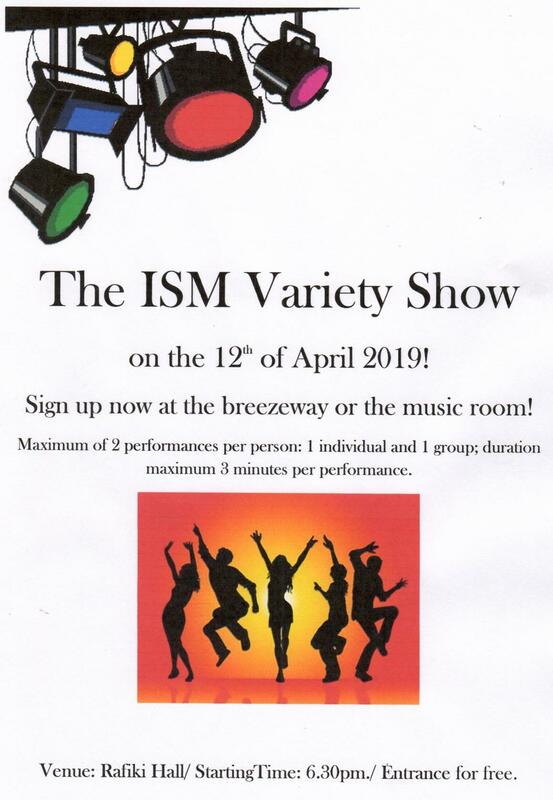 In the Primary our P6 also have their exhibition in May. This year we also have the transition from ISM as a stand-alone school to a member of the UWC movement. You will likely notice aspects of this over the next few months as we get ready for August. I hope everyone had a restful break and is ready for a fun and eventful end of year. I trust you all enjoyed a safe and restful break with family and friends and, like me, are looking forward to another exciting and dynamic quarter of learning at ISM. D2 students, I hope that your break was productive but that you also found time for rest and relaxation amidst all your study. As you move into the final few weeks at ISM, at a time when you are processing advice left, right and centre, I have a few words for you to consider. Be sure to give everything you can over the coming weeks. Everything you can to ensure your results are a true reflection of your efforts, abilities and understanding. Do not procrastinate. Be strategic and focused. Take time for yourselves as, forgetting to, is counter productive. Try to remember and put into practice some of the skills and strategies you have covered in Life Skills and elsewhere. Go for a walk, grab a coffee in the Social Centre or, more importantly, talk to a friend. Listen to and look out for each other over the next few weeks. Be mindful. At times, it will not be easy but make sure it is worth it and, as I have said to many of you, remember that this too shall pass. Lastly, I am sure you will all join me in sending belated congratulations to our D2 artists (and teachers!) for curating such an inspiring Art Exhibition at the end of the last quarter. As Matisse said, “Creativity takes courage,” so, kudos to all involved for being brave enough to showcase your work in such a public space. It was fabulous to see such talent on display but, moreso, heartening that our community had the opportunity to appreciate it. 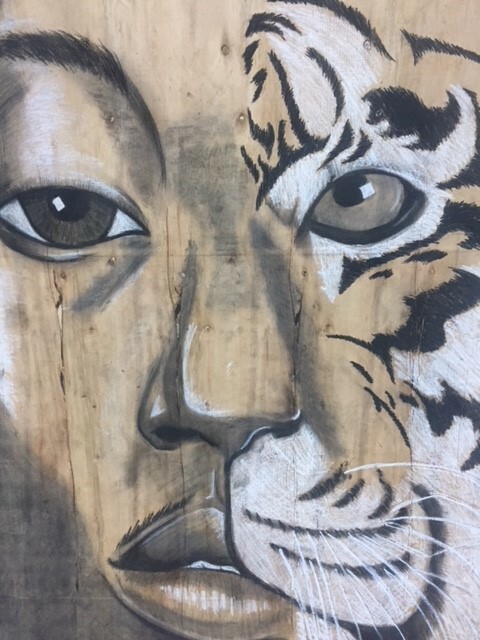 We return to school and regular classes on Monday with just three weeks left before D2 begin their study week in the lead-up to their final IB examinations. Final day of scheduled classes for D2 is Thursday April 25th. On this day D2 will spend time together celebrating the completion (almost) of their secondary education. There will be NO Prank Day at ISM this year, students that pull malicious acts on campus face consequences that may include missing Graduation. friends from KCMC. They included Mubashar and Sakina presenting on neuro, orthopedic and trauma surgery, Jenny Renju with epidemiology and biostatistics, Marco van Zwetselaar kept students engaged with bioinformatics/DNA, while Tara Mtuy brought all her experience in hygiene and tropical medicine. Students learnt what it means to run projects in the cane industry through Eric Tailly(TPC) while Coy Buckley(EFTA) entreated budding entrepreneurs on what it means to start and run a business. International School Moshi (ISM) and its close associates were equally represented. 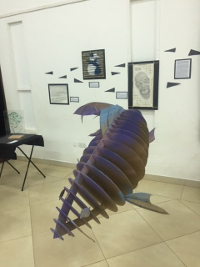 Heloise Morley presented on architectural design, Vitor Eiji had his venue crowded by computer and IT enthusiasts, Joyce Musengi-Mullings gave students information on what human resources field entails while the host, Bob Cofer, took students through the work of an engineer. As per our promise in the last newsletter, the M5 2019 Mock results were released on Thursday March 14. Students should use the current break to reflect on their results and set goals as they wait for the exams that start on May 14. The secondary MAP tests will be conducted as from April 15, 2019. A detailed schedule will be sent to the M1-3 parents shortly after this break is over. Well what a Quarter that was. 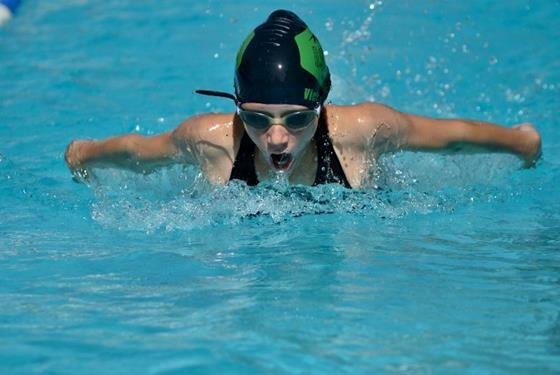 MYP swimmers confirmed their place at the top with another win in the St Constantine’s Swim Meet making them undefeated champions, the Primary swimmers have improved drastically going from 4th in the first meet this year to 2nd this Quarter, no pressure for a first place at the next swim meet. 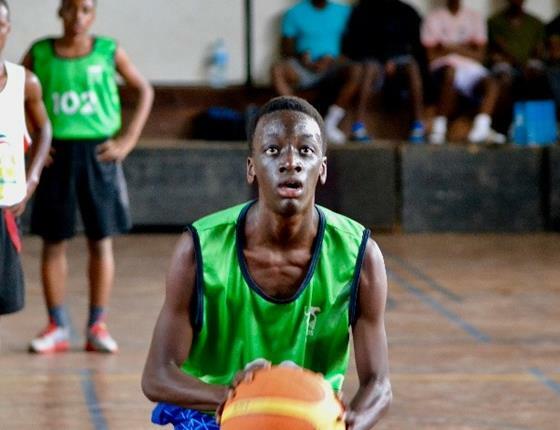 Our U15 Girls and Boys soccer achieved great results in their tournament as did our U19 Boys and Girls basketball teams, special mention to the U19 Boys Basketballers who are now the NTAA champions. 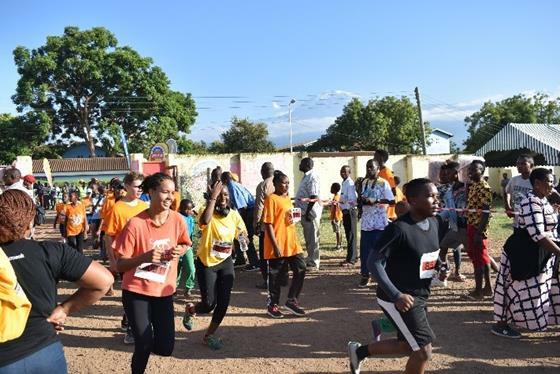 We had over 100 students and staff members take part in the Kilimanjaro Marathon 5km, 21km and 42km. 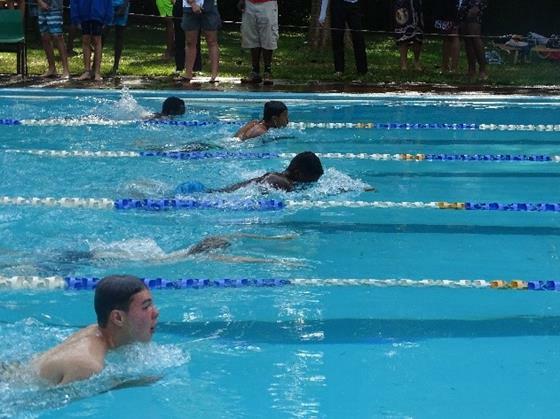 With this, Swim Galas, and to cap it all off the Bhubesi Pride taking our students for rugby skills and drills for the last week of school culminating in a friendly tournament against local schools and orphanages. No wonder I need a holiday. I hope you remembered your holiday healthy tip, of drinking 6-8 cups of water every day, this should be continued every day. Next Quarter is looking just as action packed as the last 3 have been, see the table above for what is happening. After a week of very intense indoor soccer matches between M1-M4 inter house teams and M5-D2 inter house teams we have had some movement on the leader board. We have a big Quarter coming up with lots of opportunities to pull back the leaders, keep your eyes on the leader board. Welcome to the final quarter of the year. I hope you got a chance to enjoy the break with your child/ren. The quarter ended well with some rugby matches organized by Bhubesi Pride and the children had a great time. A huge thanks to Mr. Robin and the P.E. department. In the last gathering of Quarter 3, we enjoyed presentations by the P6 students who have begun looking at their Exhibition unit. It was such a joy to see the children lead their parents through different stations during the Student-Led Conferences. Thank you to all the parents that could make it. I would also like to acknowledge Kamili’s initiative and the support from the KCMC Service club. The toy drive was very successful and the group managed to take the toys to the hospital. We start with new units across most of the classes and children will be tuning into their inquiries. We have a couple of events lined up for the quarter. You may want to note the following dates. Thank you to all everyone who joined us for our student led conferences a few weeks ago. It was a fantastic opprortunity for the children to share some of their work. We had some different and interesting end of unit pieces, including a mobile showing how light travels from the sun, reflects from the moon and into our eye. A second model showed ‘how the moon was born’. 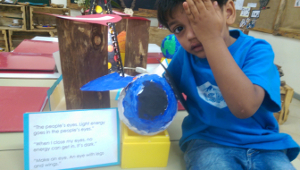 One child chose to give a live demo of Earth, Sun and Moon using wooden blocks and others made an eye (with wings and legs of course) to show how light energy enters the pupil. We saw some of the varied interests, understandings of ways of expressing themselves that are developing in our children. Through careful support within an inquiry based environment we work with them as individuals to nurture and respect voice and choice. We begin a new unit this term. Stay tuned. Welcome back to school. I hope you all had a peaceful relaxing holiday. We will start this quarter by looking at how human action has the power to preserve or destroy the earth’s resources. Please do get in touch with me if you have an expertise in these areas so that you can share your knowledge with the children. In maths, we will begin our look into fractions and how we share one or many objects with each other. This will be a wonderful time to turn apple cutting into a maths lesson at home. Our art work will involve using natural materials. As we all have ample supply of sand, rocks, leaves and so on, please let your children explore ways of turning these natural resources into works of art. It is often during play that masterpieces are created. We will speak more of this as we look into our homework during the second week of school. It is hard to believe we’re at the start of the last quarter of this year. It seems like time has flown by, with many of the recent weeks spent awaiting the rain and dreading the heat. I hope all of you had a lovely couple weeks off, with plenty of time to rejuvenate and relax! It was wonderful seeing all the parents come in on the Thursday before school ended to embark on a learning journey with their children. I hope it was a rewarding experience for both you and your children. This last quarter will have two pretty full on units of inquiry taking place. We will start off at a unit of inquiry that looks at where our food comes from. To start this unit off, we will be hosted by Heloise Jackson who will show us around her family’s veggie patch, as well as their compost area. This will hopefully start of discussions about why people have their own vegetable patches, and what the benefits of growing your food at home are. I look forward to seeing you all back, and for an exciting start to this next quarter. Welcome to Quarter 4. I hope your child is well rested and looking forward to the quarter ahead. This week the children will be starting a new unit where we will be looking at the biological needs of living things within an ecosystem. 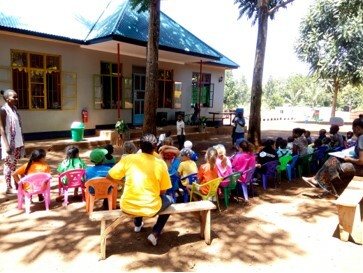 They will read different fact books and apply their learning through creating games, making fact cards and crafts related to what they have learned. As part of their assessment, they will create biomes in a box so they may start looking for a medium sized box and bring it to school. We will be working extending our knowledge in data collection, measurement, geometry and number during this unit. Our Math Inquiries will lend themselves to what the students will be inquiring on. Clubs will begin on Monday, the 8th of April. The P5 had a great finish to the third quarter. They enjoyed a week full of sharing knowledge, and reflecting on the quarter by getting their portfolios ready for Student Led Conferences. Thank you to everyone for coming in to celebrate your child’s learning. On Tuesday, the class shared their summatives by reading their articles to convince others to visit Kahawa Shamba, and presented their group projects showing how media can manipulate perceptions. The class excelled with both their personal and group presentations. We visited the D2 art show, which impressed and inspired the class. During the assembly, they rocked out and performed a song led by Ms. Mary. Then, on Friday, they were the MCs for the Primary Gathering. 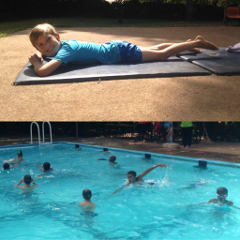 Our week concluded with Rugby playing, and a quick dip in the pool. Thank you Coach Sabini! With our return, we begin our next unit all about Systems of the Human Body. Get ready for science class. data handling. 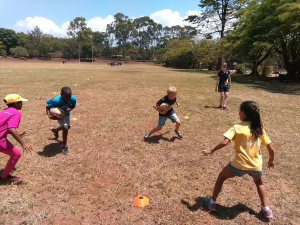 The photo shows the children working with the Bhubesi Pride rugby coaches in the final week before the break.